Now that you’re ready to buy a York County area home, there are a lot of aspects to consider. One of these is Private Mortgage Insurance (PMI). Before deciding if you need PMI, you should know what it is, what it costs, and whether it’s necessary. A PMI policy protects your lender in case you default on the loan. Some lenders require PMI if you’re paying less than 20 percent down on the loan. There is a formula, called loan-to-value, which lenders use to calculate risk. This is reached by dividing the amount of the loan by the value of the property. If the loan is less than the value of the property, the risk is less, and vice versa. This is why lenders want you to pay at least 20 percent down. The more you already have invested in the home, the less chance there is that you’ll default. There are other factors which figure in as well, such as your credit score. If you have a low score, you become a higher risk for default. The cost of PMI is usually 0.5 to 1 percent of the amount of the loan, which works out, in average cases between $50 to $250 per month. This is usually included in your monthly mortgage payment, but it should be a line item in your mortgage statement. Are there ways to avoid PMI? Well, yes, the most obvious being to have a 20% down payment. 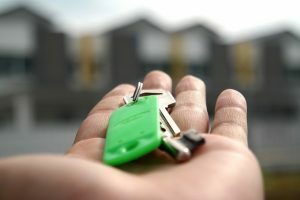 Saving this amount isn’t always possible, however, especially for first time buyers, so you can look at other options. For instance, if you’re a veteran, you can apply for a VA loan, which is the only kind of loan which doesn’t absolutely require PMI. Another possibility is to obtain a “piggy-back” mortgage, or 80-10-10. You pay 10 percent down and obtain a mortgage for 80 percent of the purchase price. Then you get another loan for the other 10 percent. It means having to pay back two separate loans, but you can avoid having to purchase PMI. If you are buying in a rural area, you can apply for a USDA loan. Here, you pay two low-cost funding fees. The one-time, upfront funding fee is usually 1 percent of the loan. Then there is an annual fee of 0.35 percent of the loan, which is calculated annually, but divided into monthly additions to your loan payment. 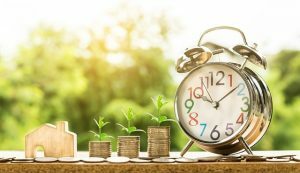 You might wonder, if you have already purchased PMI, or are planning to do so, if it extends throughout the duration of your mortgage. Happily, once you have 20 percent equity in your home, you can drop the PMI. In fact, in the private sector, mortgage services are required to drop PMI once the principle of a loan goes down to 78 percent. If you have a loan from the Federal Housing Administration (FHA), this isn’t an option. Just about the only solution with FHA loans is to refinance with a non-FHA loan, omitting the insurance. If you need advice on purchasing a home with or without PMI, we can help you. Let us know if you’re interested in listing or buying a home in the York County area, and we’ll be ready to help. The Jim Powers Team of local Realtors® is here for you from start to end. Visit our website to learn more, then contact us or give us a call at 717- 417- 4111.